If you’re not in one of the sunshine states right now, you’re probably dealing with the record low temps of this unbelievably cold winter. It’s what weather forecaster types call the polar vortex. 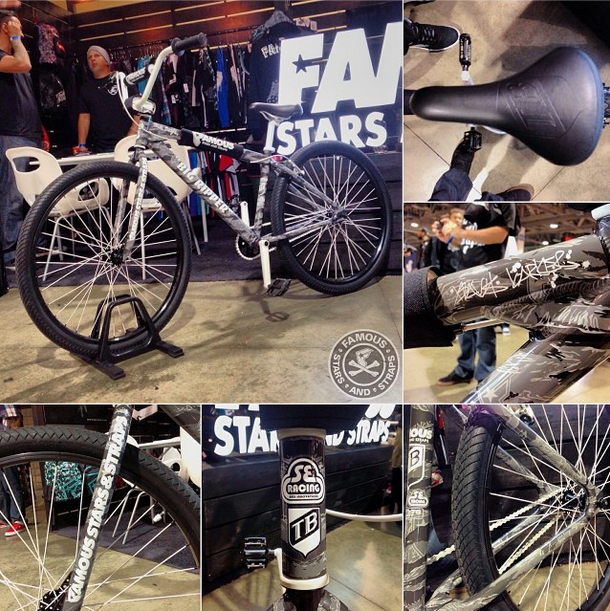 It’s enough to drive a BMX enthusiast crazy. Sure, there are a few options to cope. If you’re near an indoor bike park, you’re just a short drive a way from your much needed riding fix. This is probably the best of the cold weather options…if you live in the right area. Another option is finding an enclosed parking garage..this limits the type of riding you can do…think flatland, sprints, maybe some low-key street…but it’s still riding, right? 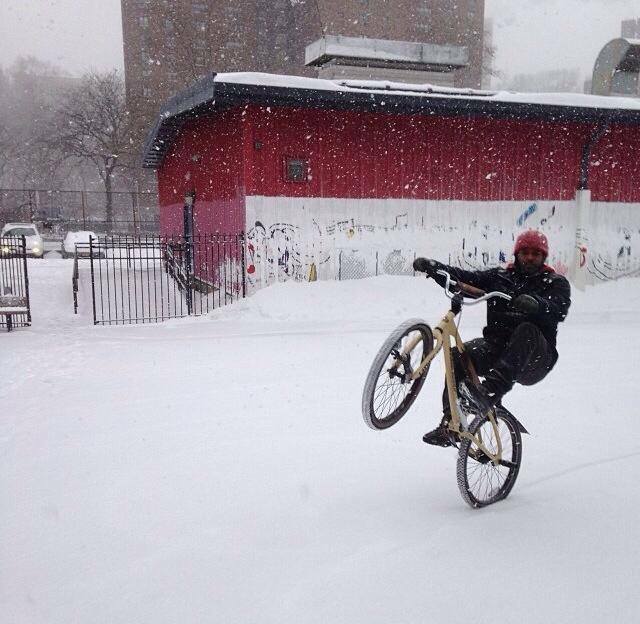 Or maybe it’s time to look old man winter in the eye and say to hell with it…suit up in some cold weather gear and pop some wheelies in the snow! 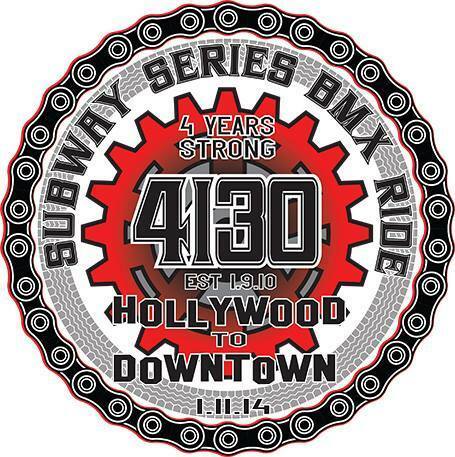 Like rrdblocks does in this pic that originally ran on the SE Bikes FB page. Sometimes you have to take a stand. 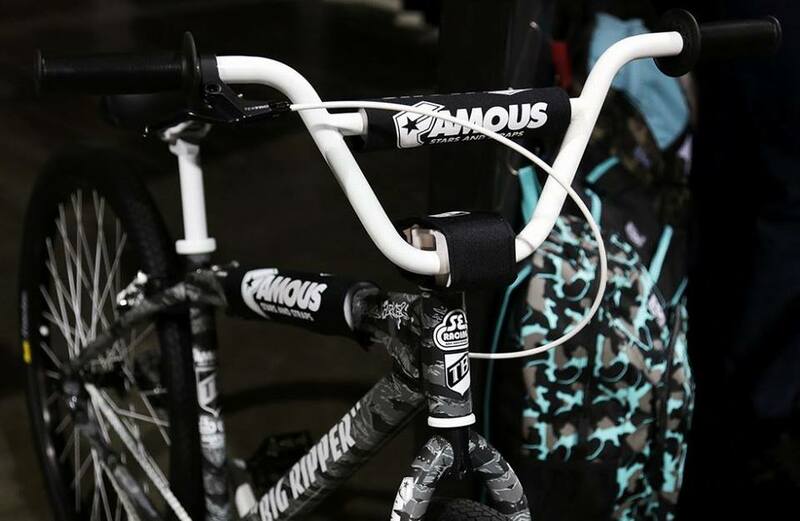 SE Bikes is teaming up with drummer Travis Barker to put out a special project, the 2015 TB x Famous Stars and Straps Big Ripper bike. Famous Stars and Straps is a clothing and accessory line created by Barker. 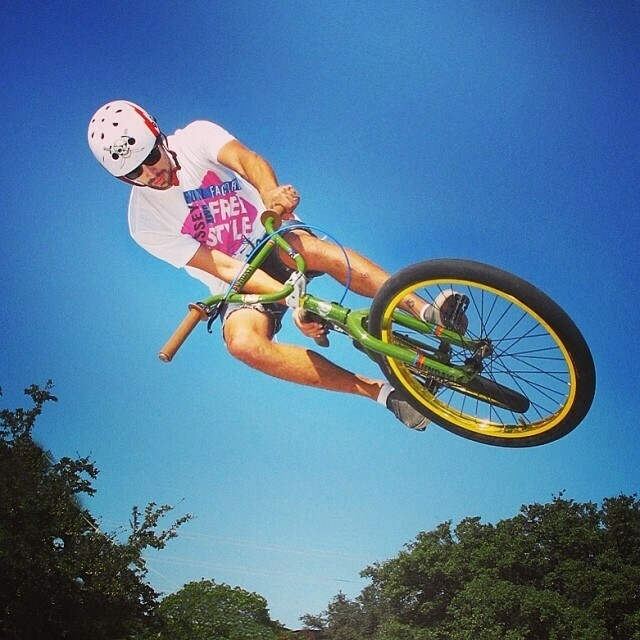 Barker is no stranger to BMX, or to riding SE bikes, as we learned last year (Travis Barker rolls on a SE Big Ripper). Nice to see him get involved with a project like this. A pioneer of modern-day street skating, sought-after artist and speaker, one hell of a character and still widely influential to this day…Mark “The Gonz” Gonzales is a legend in the skate world. Still skating…but…and this where things get interesting…he’s now riding a Sunday Wave-C as he takes on the streets of SoHo. Check out this video posted over at Vice (along with a short interview). It’s perhaps one of the oddest pop-cultural references to the movie RAD in recent memory. In a new movie called Coffee Town (out now on pay-per-view) a character experiments with a recreational pharmaceutical and finds himself in a place “where love can only be expressed by BMX freestyle”…that is, the dance scene from the movie RAD. You know, the one that embedded the song Send me an angel into your memory banks like every BMX kid that came of age in the 80s. Truly weird and cool at the same time. 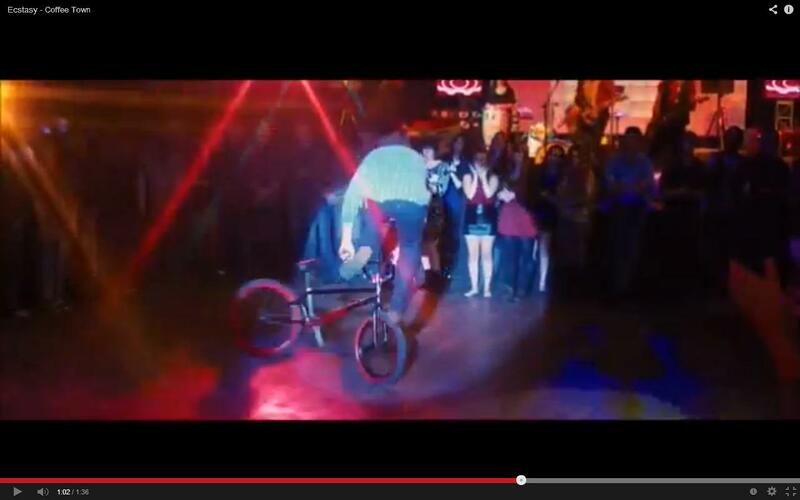 Bonus info: Gabe Weed did the “stunt work” for this clip.